The First Report on Food Tourism in Italy, launched at the beginning of “The year of Italian food in the world”, was presented in Milan on 23 January. 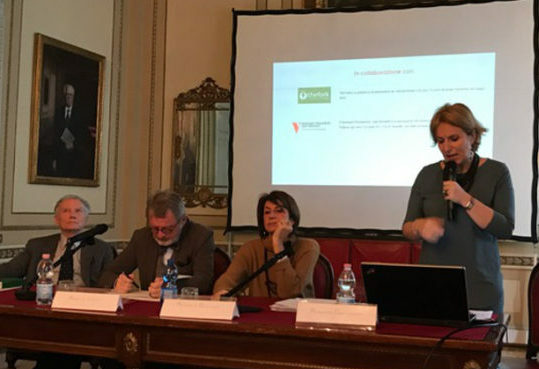 During the Press Conference, the author, Prof. Roberta Garibaldi, researcher and Professor of Food Tourism at the University of Bergamo, IGCAT expert and Coordinator of East Lombardy, European Region of Gastronomy 2017 introduced the main findings and the future trends of the tourism segment. The research combines quantitative and qualitative analysis investigating Italian travelers attitudes towards gastronomy, and it constitutes the first concrete effort to systematize data concerning this growing phenomenon. Within this framework, it presents an overview of the related offer on the territory, opinions from international experts and examples of best practices of food tourism from all over the world. The research data shows that over the last three years at least one in three Italians have traveled motivated by a gastronomic interest, as a consequence 30 percent of travelers can be defined as a food tourist. This Report analytically demonstrates how Gastronomy now represents a key element in the trip decision-making process of Italian travelers. The report includes contributions of operators such as TheFork and Seminario Veronelli, as well as international experts such as Anne-Mette Hjalager, University of Southern Denmark, editor in chief Journal of Gastronomy and Tourism, Trevor Benson Culinary Tourism Alliance, Canada, Carlos Fernandes, Istituto Politecnico de Viana do Castelo, Portogallo and IGCAT Expert, Matthew J. Stone, California State University, Chico, USA, Erik Wolf, World Food Travel Association, and Rossano Pazzagli, University of Molise.The Report has moreover the patronage of Italian Touring Club, Federculture, and Qualivita Foundation. The European Region of Gastronomy Platform and Award aim to contribute to better quality of life in European regions, by highlighting distinctive food cultures, educating for better health and sustainability, and stimulating gastronomic innovation. It provides cross-marketing opportunities and longer-term benefits. IGCAT is a non-profit organisation established in 2012 working in the fields of gastronomy, culture, arts and tourism. Through its worldwide network of experts, IGCAT aims to empower local communities by guiding, facilitating, and supporting local leaders in cities, regions and cultural projects to understand the potential of their distinct food, culture, arts and sustainable tourism assets. IGCAT is furthermore the official secretariat for the Region of Gastronomy Platform and provides the European Region of Gastronomy Award, the European Young Chef Award and the Local Food Gift Project.